Stuck In Books: Which Valentine Valley Heroine are You? Which Valentine Valley Heroine are You? Math teacher Lyndsay De Luca never surprised anyone-least of all herself-until this summer. First, she secretly published her debut romance novel. Then she started dating Will Sweet, the cowboy of her dreams. And now Lyndsay’s scrambling to hide the juiciest tidbit of all: that the hazel-eyed hero of her steamy fiction is the same guy whose kisses have become her mind-blowing reality. Is a cowboy in love. Ever since Will’s high school sweetheart died in a tragic accident, he hasn’t been able to commit to a long-term relationship. Lyndsay is the first woman in years who’s been able to catch-and keep-his attention. She’s fascinated by his work at Sweetheart Ranch, and a glance from her gorgeous brown eyes sends Will’s thoughts wandering. Will she be the one to finally break down the walls around his guarded heart? Emma Cane grew up reading and soon discovered that she liked to write passionate stories of teenagers in space. 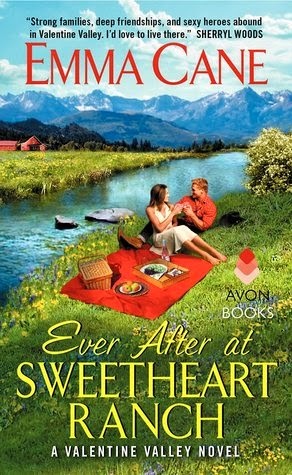 Her love of “passionate stories” has never gone away, although today she concentrates on the heartwarming characters of Valentine, her fictional small town in the Colorado Rockies. Now that her three children are grown, Emma loves spending time crocheting and singing (although not necessarily at the same time), and hiking and snowshoeing alongside her husband Jim and two rambunctious dogs Apollo and Uma. LIFT: Authors Raising Autism Awareness!